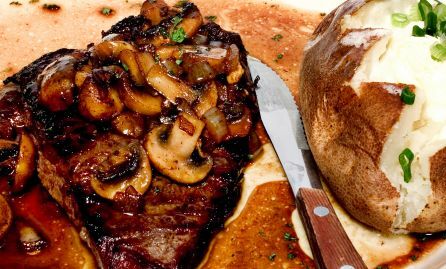 If you love juicy grilled steak, then this recipe for steak sauce is for you. It's so easy to prepare and has the best flavor. 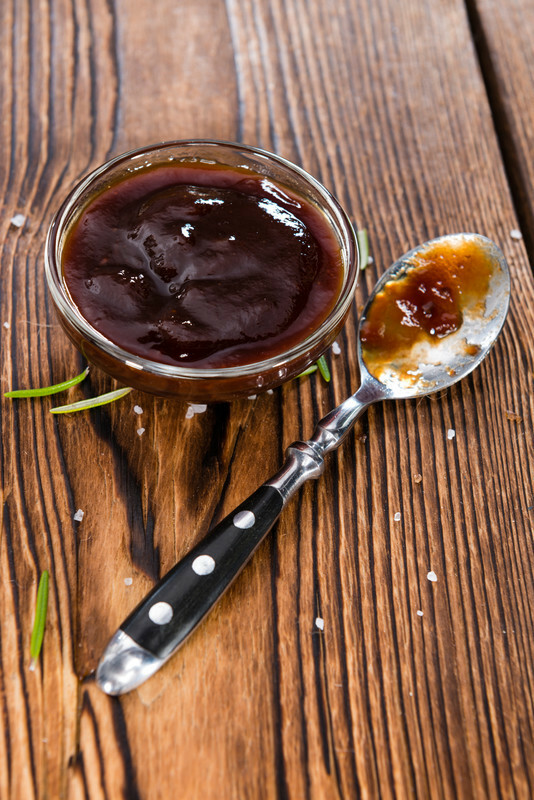 The homemade steak sauce is tangy and a little spicy; you control the heat. 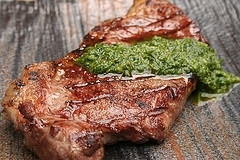 So "fresh" tasting and perfect over grilled steak. Whisk the ingredients in Part 1 together first and then slowly whisk in the ingredients in Part 2. Pour the mix into a airtight container. Let marinate in container for several hours before serving. You may refrigerate for 24-48 hours. Shake the bottle before serving. Sprinkle on steaks or any kind of meat. 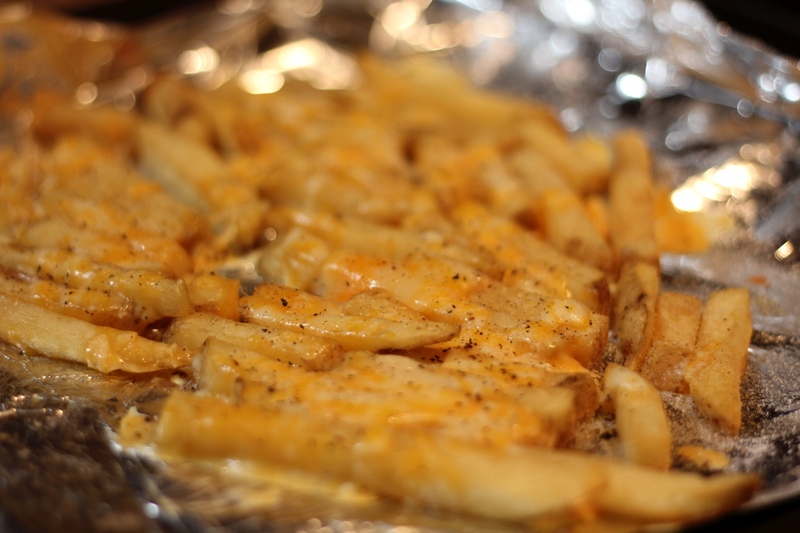 Why the photo of my cheese fries? Because I am giving you my favorite snack or light meal recipe idea with my version of homemade A1 steak sauce below to see if you don't love it as much as I do. In a saucepan add everything except the orange and whisk together on low heat. Bring to a simmer, juice both orange halves over pan and mix well. Continue cooking mixture on a low simmer for 10-15 minutes, stirring occasionally. Watch it because you can burn this easily. Let cool and its ready to use. Bake Ore Ida french fries according to package directions and one minute before they are done sprinkle 1/2 cup shredded cheese over them. Bake another minute and bring out of the oven. Divide into servings and drizzle steak sauce over fries or add a couple tablespoons to your plate and dunk the fries in it. The tangy steak sauce is awesome with the cheesy creamy tasting fries. I usually just eat these for a meal or snack. I hope you enjoy these as much as I do. You may also add a drop of hot sauce if you want some heat.